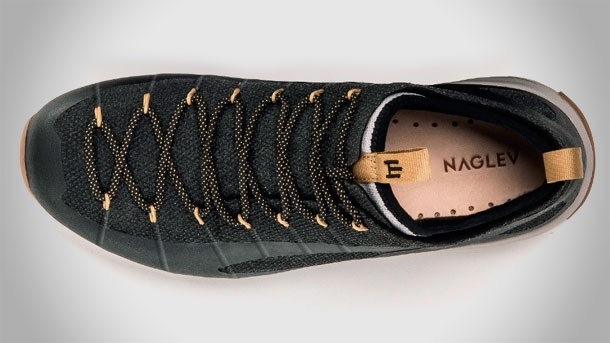 Naglev Unico Kevlar Shoe Review: This Italian Hiker Is (Coco)Nuts! The Naglev Unico is a unique outdoors shoe six generations in the making. If you follow outdoor industry news, you might recognize the Naglev Unico. A frequent darling of the trade show circuit, it appeared on several best-of lists and won a couple design awards. I recently interviewed its makers and put a pair to the test to see if they deserved the hype. I was initially drawn to the Unico’s contemporary aesthetic. It’s handsomely designed and foregoes the splashy colors and bold branding common to footwear. The subtle styling showcases the unique materials, which include leather, coconut fiber, Kevlar, natural rubber, and wool. What really set the hook, at least for me, is their provenance. Naglev hails from the footwear capital of the world — Montebelluna, Italy. Situated between the Venetian Plains and the Dolomites, Montebelluna’s footwear industry spans five centuries. Even today it’s the seat of bootmakers Asolo, Crispi, Scarpa, Tecnica, and Zamberlan, just to name a prestigious few. It’s there that Naglev’s founders were born. 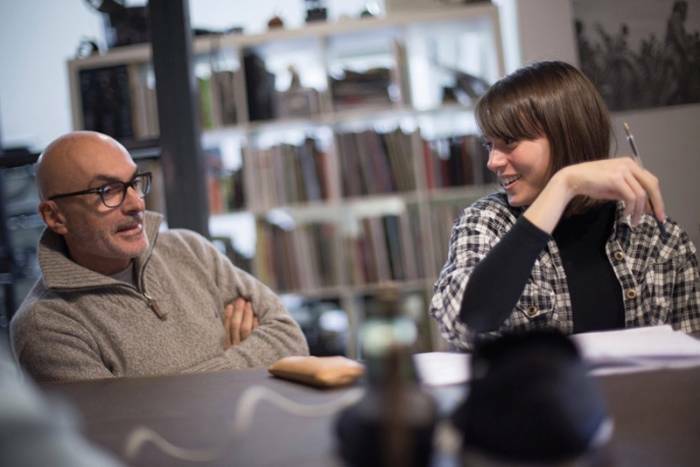 Achille and his daughter, Elettra, created the brand and infused it with 130 years of Morlan family heritage. As the singular manifestation of the Morlan legacy, Unicos shoulder a heavy burden and represent everything Achille knows about footwear. They embody skills he gleaned while piloting companies like Garmont, a brand he helped relaunch in the 1990s. To that end, Unicos blend the speed and agility of a running shoe with the brawn and support of a midweight hiker. To ensure maximum durability and protection, the outer layer is made of a single piece of Kevlar-reinforced fabric. It’s unusually stiff, almost like a hardened shell, but it’s also light and strong. Tucked beneath, an elasticized Merino wool sock wraps around the foot and helps manage moisture, temperature, and odor. Underfoot, a leather and coconut fiber insole limits friction and chafing. To augment protection, a thin thermoplastic polyurethane (TPU) rand encircles the lower portion of the shoe. Speed Cable lace points molded into the upper offer a wide pattern to disperse pressure for a fine-tuned fit. 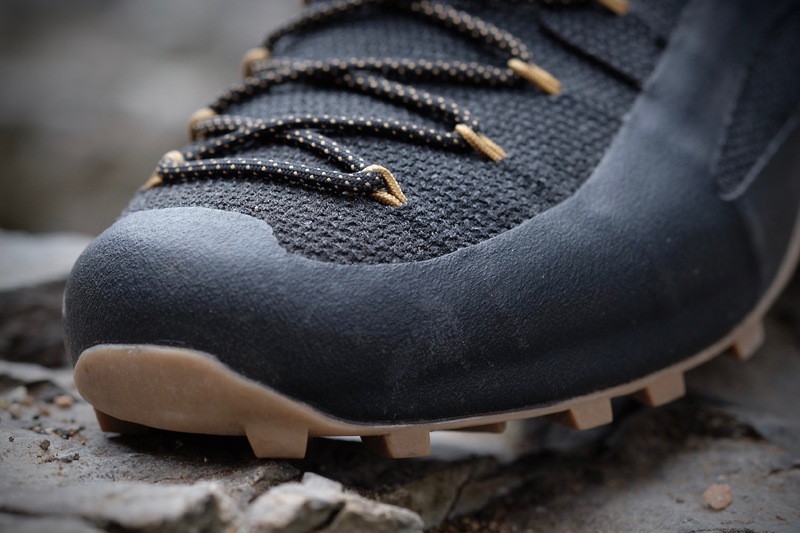 Closer to the ground, a thick EVA foam puck under the heel absorbs impacts, and aggressive outsole lugs ensure stable footing in all conditions. The first thing I noticed when unboxing my sample shoes was the weight — or lack thereof. At 495 grams for a size 45 shoe, they are not much heavier than most trail runners. But they are far more supportive and robust. Flexing the forefoot takes some doing, and the latter half of the midsole qualifies as nearly rigid. I was initially concerned the stiffness would lead to unchecked slippage. But the inner sock holds my foot firmly in the heel cup. The first few hikes were not without some minor discomfort as the Kevlar fabric required a few miles of break-in. Over time, it softened and conformed to the shape of my feet. Although padded, the collar around the ankle created some mild irritation during the first few uses. My only other nit-pick is the tendency for debris to slip between the outer layer and inner sock, particularly behind my heel. Those are perhaps my only two quibbles. Some users may lament the lack of a waterproof barrier, but I prefer the breathability without it. As a hiker prone to ditch boots in favor of more nimble footwear, Naglev’s approach to foot protection suits me well. 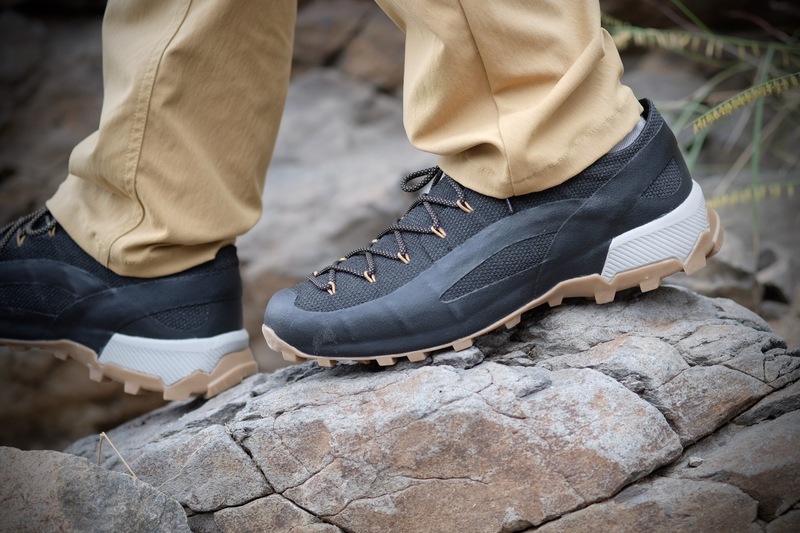 On rocky trails, I never felt stones poking through the midsole. Although they don’t offer ankle support, the neutral positioning and snug fit lend a sense of security I find exceeds most soft shoes. Better still, when given a little rinse after a hard day in the forest, they look sharp enough to wear on the town. Over the course of the last several weeks, they have become my preferred shoe for everything I do. Although the shoes are designed, tested, and sold out of Montebelluna, Unicos are painstakingly crafted by hand in an Asian factory. The factory uses Italian shoe-making machines and employs Italian manufacturing experts. That degree of attention to quality does not come cheaply, nor do the materials. If you can wiggle past the $230 price tag, the user experience will likely put your buyer’s remorse at ease. 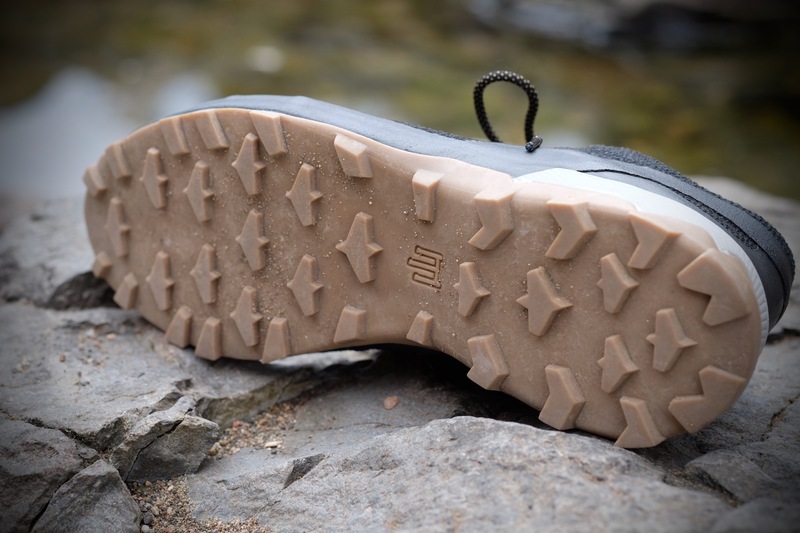 Unlike other shoes with a narrow application, I use Unicos for everything from lightweight backpacking romps to short trail runs. And I don’t think twice about wearing them to my favorite watering hole on Friday night. 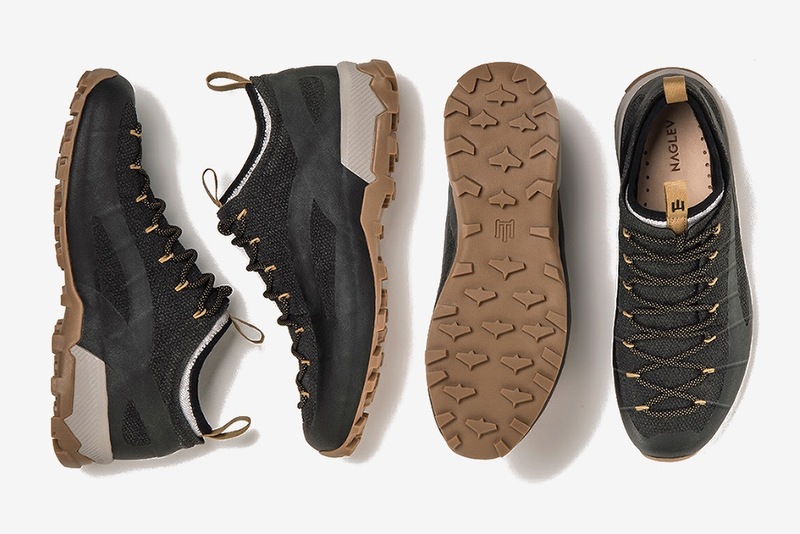 Because it’s available only through Huckberry, you won’t likely find other people on the trail wearing Montebelluna’s latest offering. 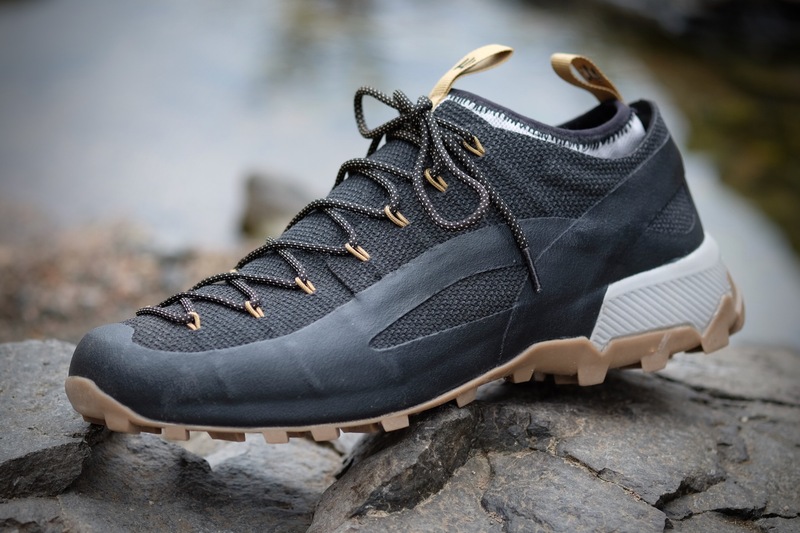 In that regard, the Unico is a bit of an outdoor industry unicorn. And it is a truly belle scarpe. Christophe Noel is a freelance journalist, photographer, and general vagabond. A seeker of stories untold, he can often be found with a map in hand, lost, in the most remote corners of the globe. The founder of Clean Drink Adventures, he believes in the power of the traveler and doing good as you go.